No one wants to hear they need a root canal. And yet, with a combination of today’s advanced tools and techniques, plus a service like sedation dentistry, root canals are more comfortable than they’ve ever been. In just a single appointment, the dental team at Complete Cosmetic Care Dentistry can help you with the important endodontic care you need to enjoy better oral health. During a root canal, Dr. Dalia Georgy or Dr. Parnam Mohanna will access the infected pulp tissue inside your tooth, remove the pulp, replace it with a safe polymer known as gutta-percha, and then cap the repaired tooth with a custom-made crown to preserve it. Besides treating infection, root canals are designed to preserve the patient’s tooth and the root anchoring it to the jaw. Your tooth roots are important. Not only do they ensure your bite is stable, they also spur bone growth in the jaw so that it stays strong throughout your life. An infection can be caused by a variety of problems, including deep decay, advanced gum disease, a cracked or broken tooth, and an old filling. 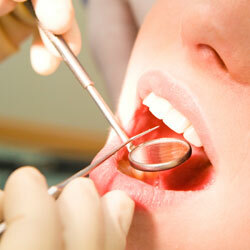 Treating infection is important for your oral health and your overall wellbeing. If an infected tooth isn’t treated, the tooth (and its root) may be lost. Do you have a tooth that’s sensitive to hot or cold foods? Are you experiencing any swelling around your gums or one of your teeth? Have you noticed a recurring pimple on your gum line? These are all signs that you might need a root canal. Call Complete Cosmetic Care Dentistry today to schedule a consultation appointment with Dr. Georgy or Dr. Mohanna. We offer root canal therapy to patients from Sapulpa, Tulsa, Bixby, Glenpool, Jenks, Okmulgee, Mounds, and Keifer.